Practice Management has come a long way in the last decade. With an ever-increasing number of software applications coming on the market promising to take you to administrative nirvana—and an increasing majority of firms implementing them in some form—the pressure has never been greater to take the plunge. But, with a dizzying array of options, it can be hard to know where to start. Tracking time—all staff time—is as important to cost and budget analysis as it is for billing. Even if you flat rate or value bill, simply knowing the amount of time spent by each staff on each client can help you establish your effective hourly rates. We’ve taken a look at six facets of firm activity that can greatly benefit from some practice management best practices and recommendations. 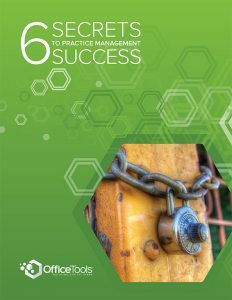 Fill out the form to download a copy of our Six Secrets to Practice Management Success white paper.